You might think me mad for saying this, but would you be surprised if this happens? In what appears to be a new development era in Malta, this government is sparing no expense in pandering to Maltese developer’s insatiable appetite for environmental destruction. The following are justifiable reasons why we should expect the Maltese government to announce the development of a luxury hotel in Comino. 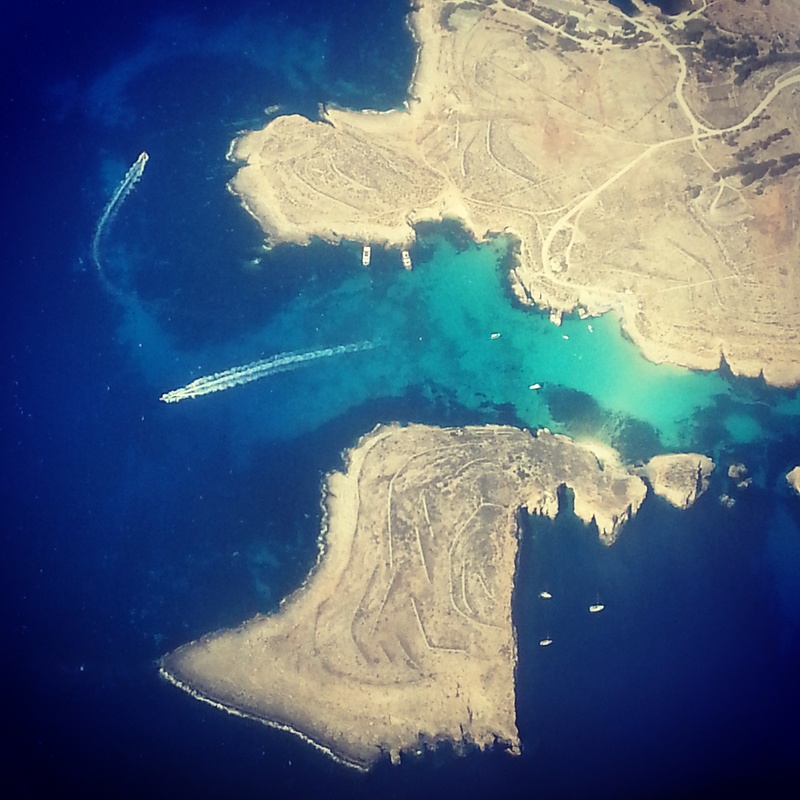 Comino, the islet of Cominotto, and the Blue Lagoon in between. This beautiful nature reserve might be looking forward to the development of a new luxury hotel in the coming future. Comino is the third largest island in the Maltese Archipelago, and is considered to be one of the most spectacular sites in the country, boasting various gorgeous bays and bathing waters, ecological biodiversity and a rugged beauty that has so far escaped the clutches of Maltese developers. The importance of Comino can be exemplified by its recognition as a nature reserve in Malta’s Structure Plan in 1991, and following Malta’s accession to the EU it was recognised as a Natura 2000 site, and also designated as a Special Area of Conservation (SAC) under the Habitats Directive and as a Special Protected Area (SPA) for birds under the Birds Directive. A brilliant article by Din l-Art Helwa provides some interesting history into Comino. It describes how in 1960, hotels and bungalows were proposed on the island, including a restaurant on the islet of Cominotto and suspension bridges to connect Cominotto with Comino. Thankfully, this monstrous project never transpired, and we can now still enjoy Comino in its almost complete natural form. However, a hotel and bungalows were constructed on the island in the late 1960s, during Malta’s post-independence development boom. 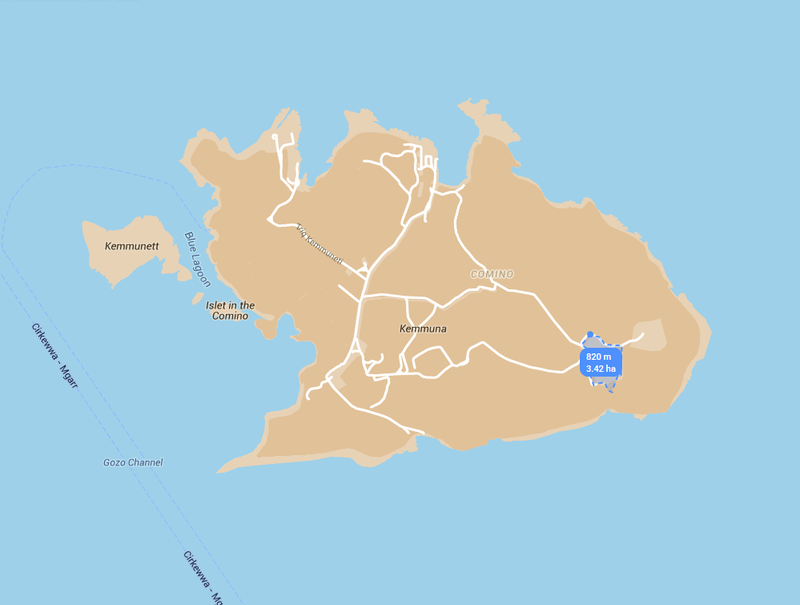 Comino escaped considerable development until a pig farm was constructed on pristine land in 1979 next to a coastal gun battery. The hotel is still operational, but the pig farm was decommissioned in 2011 and returned to the government. This abandoned farm is currently in a state of disarray, and opens up a unique opportunity for developers to get their hands on land in Comino. MaltaToday provided a vivid insight into the current state of this pig farm in April 2014. This article cites efforts by Din l-Art Helwa to request the government to rehabilitate the land to its natural state, as the updated structure plan for Malta could allow redevelopment of this farm for tourism purposes. This NGO also called for the development of an educational centre in the case that the land cannot be rehabilitated, so that the land could at least be used towards the benefit of the public. However, the government has already been dropping subtle hints about the possibility of a luxury hotel replacing the pig farm. In this MaltaToday article, a consultation document on the Strategic Plan for the Environment and Development (SPED) specifically refers to tourism development on “previously developed land” in Comino. Additionally, this draft document hints at making ‘better use’ of ‘previously developed land’ in Comino for ‘tourism and recreation purposes’. This updated document sets a dangerous precedent for the redevelopment of the pig farm on Comino into a luxury hotel. The area encompassing the pig farm is relatively big, around 34,000m², or roughly the same size as the area occupied by the Ta’ Qali National Stadium. As you can imagine, this is literally a gold mine for any developer in Malta, whom you can probably hear salivating and rubbing his hands somewhere in a Government department. Even though the local plan for Comino stipulates the island’s status of Special Area of Conservation and nature reserve, and only allows developers to “upgrade” the existing tourist complex and hotel if these are “compatible with the sensitivity of the surrounding context”, it seems as though the necessary steps are being laid for new development in Comino. I often use the phrase “build a hotel on Comino” as a euphemism for an insane development proposal that is beyond the limit of rationality. Unfortunately, it seems that this notion might now become a reality, probably in the name of ‘economic prosperity’ or ‘national interest’. I am really curious to see how the Government will try and sell this one to the public.